True Espresso making is an art. The right blend of beans, the proper grinding, the temperature of the coffee and the frothy top (crema) makes a difference. However, you can make a decent cup of Espresso right at home. An espresso coffee pot is essential. This doesn’t have to be an electric, expensive machine, the stovetop pot is excellent for producing a fine cup of Espresso. 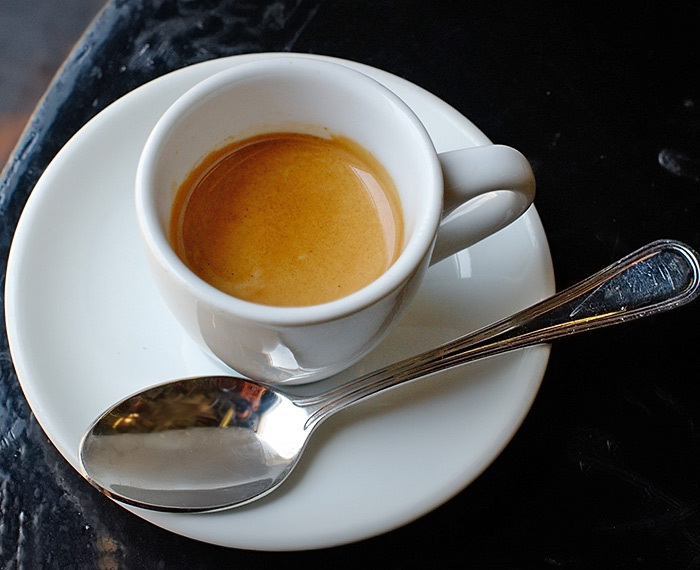 You will also need the small coffe cups used to drink Espresso, a demitasse. 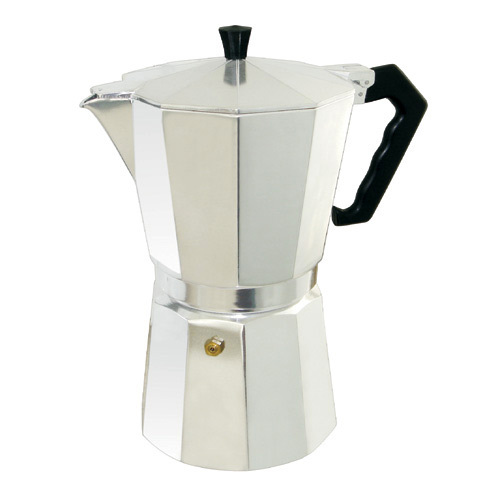 A Moka Pot is an italian steam-based stovetop espresso coffee maker. Grind small amounts of Arabica beans at a time. A good rule is 7 grams of coffee for each cup. Place spring water or filtered water in bottom of Espresso pot. Place the filter inside lower tank. Place ground coffee in filter top (or basket of electric machine). It is a good idea to warm the filter by running it under hot tap water and dry it quickly. This helps the flavor. Lightly press down on the grounds with the back of a tablespoon. Tightly screw the top and bottom of Espresso pot together. On high heat bring to a boil, you will hear the coffee perking. Lower heat for about 2-4 minutes, depending on the amount you make. If you are serving with milk, begin steaming the milk so as to have it hot by the same time as the Espresso. Warm the demitasse cups with warm tap water and dry quickly. Remove from heat. Serve immediately with sugar on the side. Your Espresso should have some light froth on top. You sprinkle some raw sugar crystals onto this froth. You can serve some steamed milk on the side. Also, you can add one teaspoon of steamed milk in the center of the Espresso in each demitasse and just quickly swirl the milk to mark the coffee – Caffè Macchiato. Enjoy!